We live in a digital world and we are more connected virtually than ever before. If you know me, you know that I love ALL technology and there is never a gadget that I don’t want to try! Life is even busier during the holidays, in fact, it’s the busiest that it has been for me in a very long time right now. While I have a lot of work, I am grateful for it but, I am looking forward to it slowing down a bit. It is so easy to get caught up in being busy that we often forget that connecting with people IRL (in real-life) is so important. Truly, the best present you can give any one you love is to be present. That means putting down your device and start connecting with your family, friends and anyone you meet. It’s one of the best parts about the holidays. Whenever I am out in the busy holiday bustle, I take the time to greet people and spark conversation. We all need a little connection from time to time, even though we may not even know it. 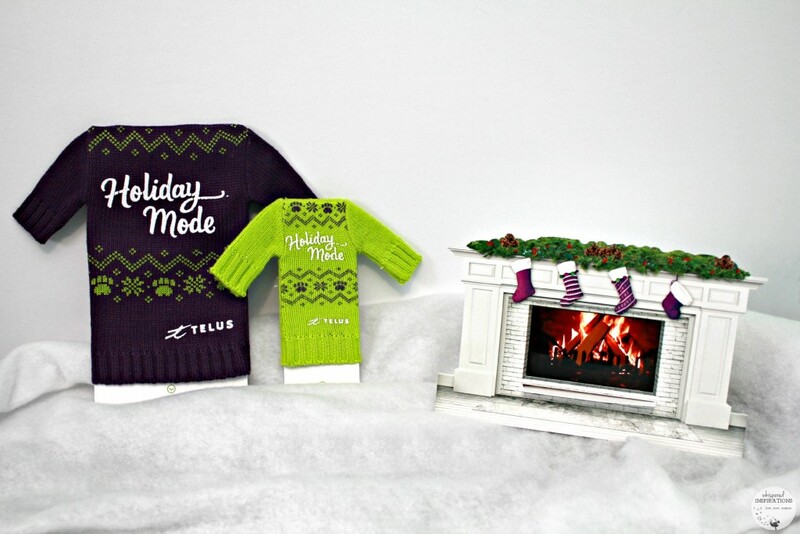 TELUS is bringing back their absolutely spectacular encouragement to get into holiday mode this year. They believe that during the holidays there’s no greater connection than the human connection. Even though they help millions to connect every single day, that one-on-one connection between people cannot be replaced. Something we do a lot of is have “coffee dates” we head to our favorite coffee shop or even just set up a little “cafe” in our dining room and we sip hot chocolate and just talk. We talk about life, our goals, dreams and sometimes just about the mundane. Our girls love our dates and we wouldn’t have it any other way. During the holidays, we take time off and we spend time with family, eat good food, watch cheesy movies, sing, dance and laugh–we laugh a lot! Get Your Devices Ready for Holiday Mode. As you know, I am part of Team TELUS and I’ve puffy heart loved them for many, many years. 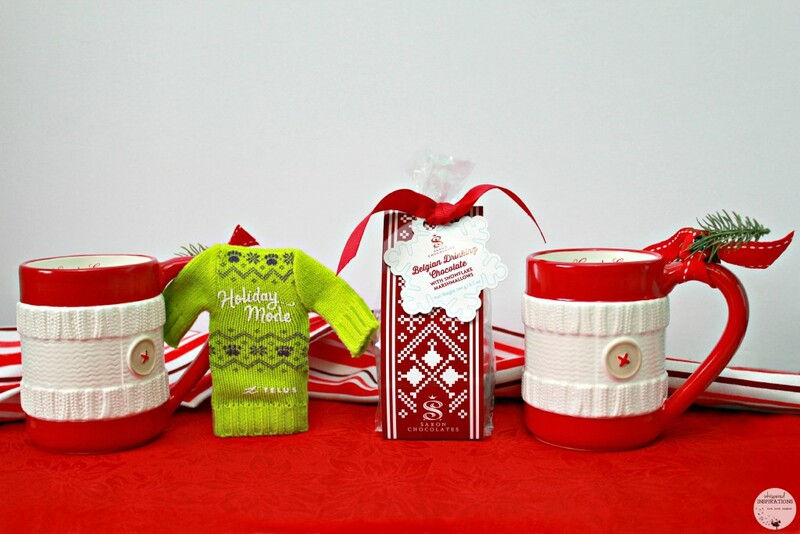 They have come up with a genius and super cute way to make sure your devices are set into holiday mode with these super cute knit-sweaters and a fireplace that is set afire by your device. You can get your knit-patterns for the sweaters or print out your own fireplace to make it at home, here. The fireplaces are available at your nearest TELUS in limited quantities. After your devices are all tucked away, nice and toasty inside the sweaters or if your phone is providing a warm glow as it crackles, you are ready. You can do something with friends, surprise a loved one, spend quality time with your family – it’s entirely up to you. Our fireplaces are going to get good use this year, let me tell you that! I love that TELUS is a telecommunications company who wants to inspire their consumers to unplug and spend quality time with friends and family. To me, that is very telling and to be quite honest, it speaks volumes about a phone company. They really are like no other. My work days tend to be spent alone, of course I have my supervisors Lincoln and Maverick to keep me company but, most days it’s just me in my office. I often find that my days turn into evenings and I have to remind myself that I have to step away. What is ironic is that I work long days just to spend more time with my family. Sometimes it works, other times it doesn’t. That is why when we take time off of work, I step away without feeling an ounce of remorse. Life is not about things but, people. Once the holidays arrive, you will be prepared to go into holiday mode. But, if you are still looking to find some gifts for freinds and loved ones, TELUS has an amazing list of the HOTTEST gadgets that anyone on your shopping list will love. 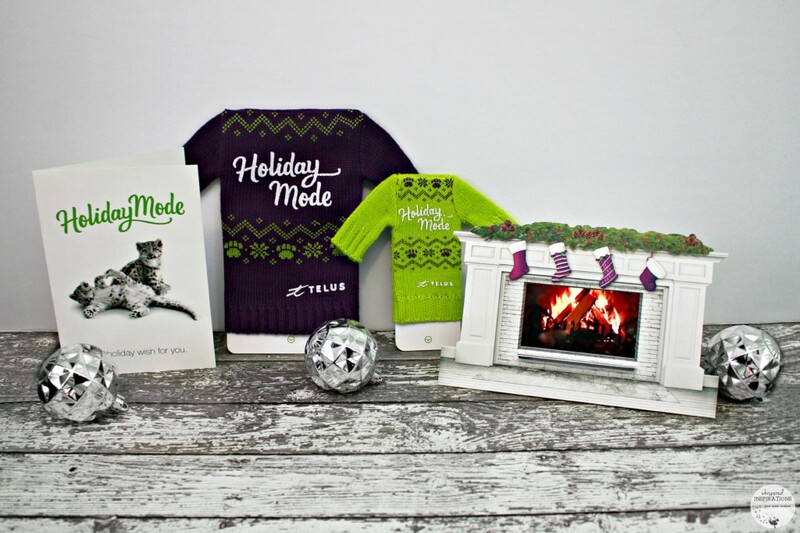 TELUS has a great Holiday Gift Guide and you’ll even find a recommendation from yours truly there. 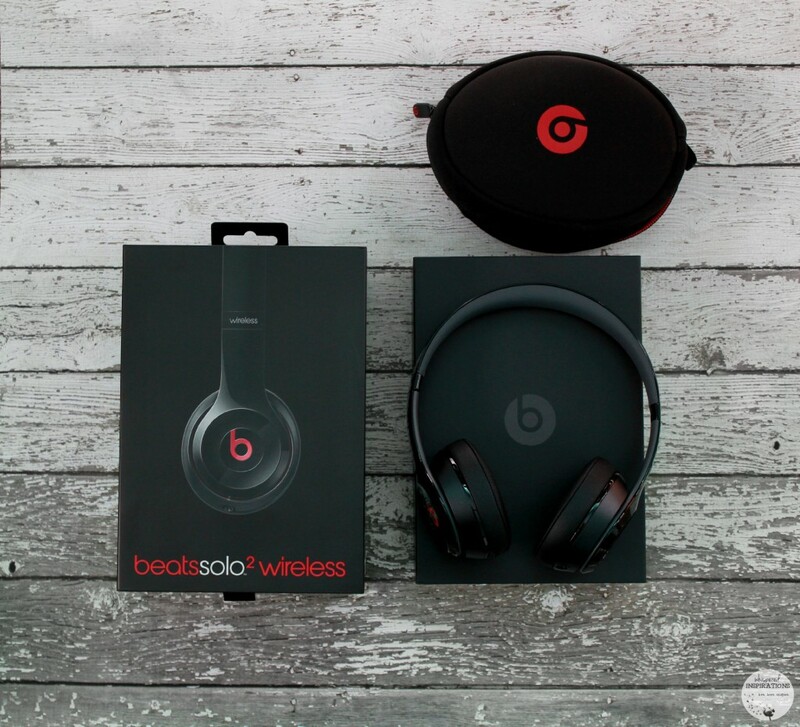 I absolutely adore my Beats Solo 2 Wireless headphones. Music is my life and you will always find me listening to music or watching some Netflix when I have down time. You can move up to 30 ft. when you are wireless and even take hands-free calls with the built-in mic. You don’t know what you’ve been missing til you put a pair of Beats on. You can find out more about them, here. Make sure you head over to www.telus.com/expectmore to get inspiration or find out more about how you should be expecting more. Plus, you can get your knitted-sweater patterns and print out your fireplaces! Tell me, how do you plan to get into Holiday Mode this year? Previous Post: « Wen Hair Care by Chaz Dean: My Experience with Wen Cleansing Conditioner. I am going to get into holiday mode by watching Christmas movies with family, and attending several holiday parties! I’m going to get into Holiday Mode by putting a “fireplace” on the television and decorate the TV as if it were a fireplace of sorts. Christmas Day all electonics/cellphones will be off while we spend time with family! The phones will go off and we will spend more time together playing games and enjoying each other's company. I get in the holiday mood by decorating the house, baking cookies and playing Christmas music. I will get into holiday mode by listening to Christmas music and Christmas carols. We are only listening to christmas carols and getting outside more to play in the snow! I'm going to be leaving the Christmas Fire up on my TV! Cell phone/electronics will be off and we will spend time catching up! I get in the holiday mood by putting up Christmas decorations. We've been listening to Christmas music and watching Christmas movies to get into the Christmas spirit. Thank you! 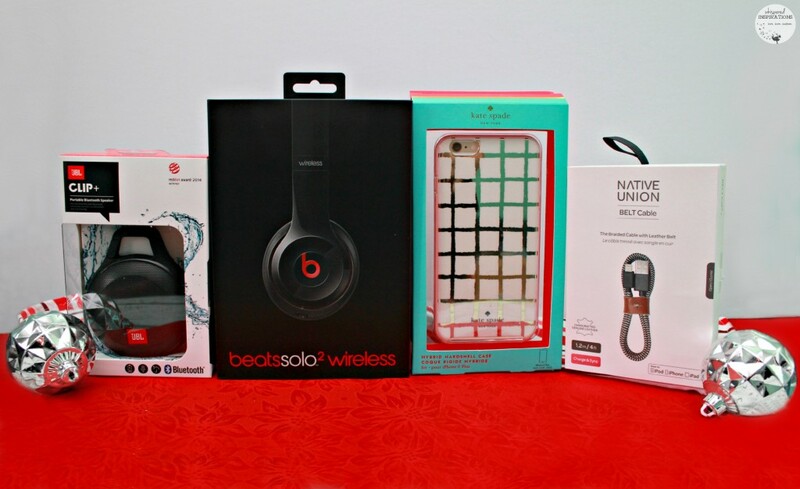 We will shut the phones of and listen to music to get into the mode. I have had a Sphero on my wish list for a year now! I put up the Christmas tree and listento Christmas music. I am going to get into holiday mode this year by shutting off my phone and baking. I am going to print off their fireplace surround to attach to the TV and pretend the fire log channel is a real fireplace! I would get in the Holiday Mode by starting my baking. I usually get into the season with our family day of decorating which will be this weekend! 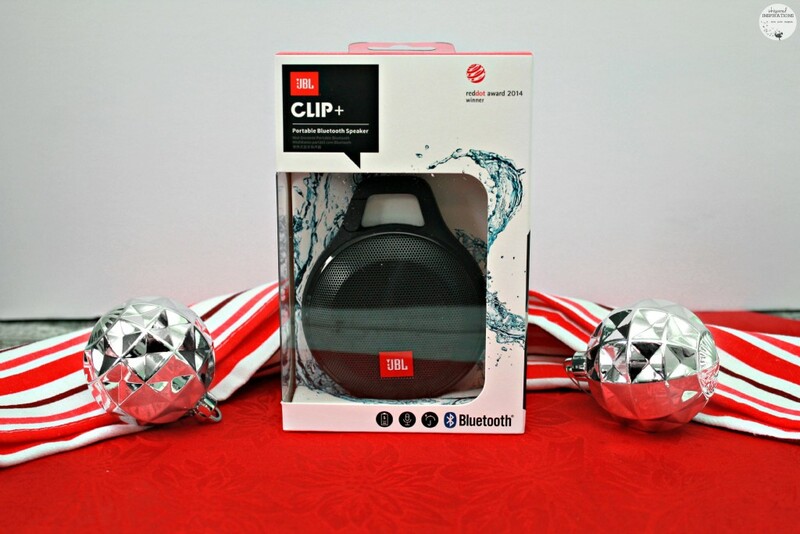 A great gift for some one. I get caught up in the tidal wave that is my grand children. I just kind of go along and have fun with the children. Playing holiday music and playing games with my kids – and decorating gingerbread houses! Lots of Christmas Music & Baking going on. Christmas Day Cell Phones will be a no no! I will decorate and put on holiday music. That always does the trick. playing Christmas music, having the crackling fire on the TV and baking treats. I am getting into holiday mode by shutting off the phone and baking. I'm going to get into the mode with the fireplace mode. Phones will go away, we will listen to Christmas music and watch Christmas Movies together. My girls and I definitely play the Christmas music loud and proud! Even my hubby knows to put it on! Visit with family Eat lots and turn the cell phones off. Tomorrow morning I'm decorating gingerbread houses with my son at his school! Thanks so much for the wonderful contest Nancy !! I’m gonna turn up the music to get into holiday mode this week !! I have been making Christmas cakes and cookies as well as decorating. I sing in a choir so I've been singing Christmas carols since September preparing for our Christmas concert. I've been in the Christmas mode for while now. Baking & listening to Christmas Music right now! Cell phones will be off on Christmas Day! I am getting into the mode by enjoying the Christmas decorations. I am going to take my kids on a Holiday Christmas train ride on monday! I would love a Wowwee MiP robot for Christmas!! Would be so cool! A new phone is also on my wishlist! Baking and wrapping gifts today to get into the holiday mode! I am getting into holiday mode by cleaning the house. I like playing Christmas music while I'm wrapping. I am getting into holiday mode by helping out at the local community Christmas dinner. Putting up decorations and listening to Christmas music. Listening to Christmas Music today to help with getting into the festive spirit. I will be playing Christmas music and dancing to it! I will get in the holiday spirit by playing Christmas music via my Telus phone. Every year I take the kids to the 'Christmas in the Park' lights display. That seems to set the holiday season off with some family fun. I am getting into holiday mode by taking a few minutes just for me. I love TELUS – phone, internet, tv all through them..so I celebrate everyday! I will set the mood by decorating the Christmas Tree. I'm baking for the holiday. Watching Christmas Movies today to get into the holiday spirit! I am getting into holiday mode by listening to christmas music. The sphero is such a good gift. It's fun and its really up to your imagination what it can do. I am getting into the holiday mode by sharing time with friends. Making some homemade treats today to give as presents 🙂 Also a good way to get into the holiday mode! I would love a Fitbit this year. Today my kids and I went to a friends house for a Holiday Breakfast – it put us in the festive spirit! Christmas music, baking and candy making with my girls, movies with my grandsons and of course their concerts.